Holy, WOW! The play-value of this Goldeneye Action Man figure is simply through the ROOF. Seriously, what kid wouldn’t want to untie this super-spy and then immediately begin playing with it and creating some super-secret adventures? So COOL! (Photo: Bill Underwood) Click to enlarge. “In 1993, Hasbro re-launched Palitoy’s Action Man (AM) brand (the UK version of GI Joe) with a new body design that featured less articulation than the original figures from the vintage 1960s-70s era. Not surprisingly, many vintage 12” collectors were unimpressed by AM’s new heavily muscled body, oversized head and undersized feet. But kids seemed to like him and (those shortcomings aside) AM “soldiered on” nicely until 2006 – when the line was finally discontinued (again). 007s Out-of-the-Box Lineup— All six of the Action Man 007 figures proudly protect the fireplace mantle in Bill’s home from dastardly super-villains. Hot stuff! (Photo: Bill Underwood) Click to enlarge. He Must Ski to Live— In The Spy Who Loved Me, Bond struggles to evade a passel of pursuing bad guys by out-skiing them down a treacherous mountain slope. Look at the fit, the color and the coordinated details of this outfit. We’d buy this RIGHT NOW! (Photo: Bill Underwood) Click to enlarge. The Right Gun for any Odd-Job— Fans of 007 know that Bond prefers certain weapons over others, so it’s important to nail those details. We DIG this headsculpt! (Photo: Bill Underwood) Click to enlarge. Mind-Blowing Boxes— Many GIjOE and AM collectors would love to pick up these 007 sets just for their unique and outstanding packaging. This superb one from Thunderball combines vintage ’60s artwork from the original movie poster (and soundtrack album) with all-new artwork from the ’90s, and it does it flawlessly. GIMME! GIMME! GIMME! (Photo: Bill Underwood) Click to enlarge. Rubber Suit Awareness— Look out for dreaded “rubber rot” when picking up one of the Thunderball figure sets on eBay. This suit looks fine from the front, but… (Photo: Bill Underwood) Click to enlarge. Movie Minutiae— Back panels of the boxes are crammed with movie trivia regarding each of the six sets, souvenir film clips, scene and figure pics, etc. (Photo: Bill Underwood) Click to enlarge. Box Me Up, Baby! This box gets our blood burnin’ for Bond! (Photo: Bill Underwood) Click to enlarge. The skiing Bond figure out of the box and all set up. WOW! (Photo: Bill Underwood) Click to enlarge. Bond’s a Bad-A**!— And this Goldeneye box deserves a Gold medal for package design. And look— Hasbro added a GIjOE/Action Man scar to his cheek! (Photo: Bill Underwood) Click to enlarge. Lead will FLY— Tomorrow Never Dies was just one big shoot-out. Notice how in the artwork, Bond’s tuxedo is MUCH more form-fitting than its AM toy-version? We suggest you get out your needle and thread and get to work. Baggy jackets are NOT allowed. (Photo: Bill Underwood) Click to enlarge. Dressed to Impress (and to KILL)— Regardless of how he’s dressed, 007 is always ready to mete out justice to his enemies. Yes, by 2018 we’ve seen better suits, but this tuxedo is actually pretty nice and can always be “tailored” to improve its fit and appearance. (Photo: Bill Underwood) Click to enlarge. Nyet! Window Boxes are NOT Better, Comrade— Some of the AM Bond’s packages were relegated to less-collectible, standard window boxes that featured far less artwork and thus had far less shelf appeal. The unique Russian blue uniform on this Action Man has OODLES of customization potential, but this set’s plastic window box is boring and “toss-able.” (Photo: Bill Underwood) Click to enlarge. Da!— The Russian-uniformed Bond inside the window-box package. Check out the highly detailed star patch and ID cards. VERY nice. (Photo: Bill Underwood) Click to enlarge. Bill’s Favorite Bond Figure— is the one from You Only Live Twice where 007 is dressed in his Royal Navy uniform as “Commander Bond.” Out-STANDING! Where else are you going to find a RN dress cap with all that detail? Sadly, Hasbro went with a window-box for this figure, cramming all the cool artwork off to the sides, making the package less exciting overall. But—the cap, uniform and figure, all make this unique set a definite “keeper” for your AM/Bond collection. (Photo: Bill Underwood) Click to enlarge. Welcome aboard, Commander Bond— This closeup of the AM Bond figure in his Royal Navy dress uniform and cap looks VERY cool. That cap is an EXCELLENT miniature replica of the real thing (note the crown above the anchor). A few minor tailoring adjustments to his uniform and this figure will soon be ready for a full-dress inspection. All hands on deck! (Photo: Bill Underwood) Click to enlarge. It seems like just yesterday, but Stan Lee’s wildly popular “Who Wants to be a Superhero?” reality-TV competition on the SyFy Channel actually ended back in 2007. Since that time, The Joe Report has done its best to keep up with the heroic cosplaying contestants who made their famous (and sometimes infamous) superhero debuts on that program. To date, we’ve published four exciting contestant interviews, and (when time permits) we hope to conduct even more. Until then, we’ll leave you with this quick compilation of the final thoughts of (some of) the heroes who’ve posted their thoughts and best wishes for ol’ Stan to read during his heavenly journey across the “cosmic rainbow bridge” to infinity. Enjoy—and Excelsior! “Stan Lee has always been an idol to me ever since I was a kid. To me, he was the personification of a comic book legend and every time you heard his iconic voice you knew you were in for some superhero fun! Stan made my childhood dreams come true when he chose me as a Superhero for his TV show, ‘Who Wants To Be A Superhero?’ I was given the chance to be Parthenon, an out and proud gay superhero on a national stage, for which the show (and I) were nominated for a GLADD award, which was the SyFy Channel’s first-ever nomination for any gay award! “I always equated meeting Stan Lee with meeting my wife. It was April 4, 2006 when I met Stan and Jennifer Mae. A producer named Jeff brought her over and introduced us in our Superhero identities. ‘Major Victory this is Diamond Girl.’ We hit it off and kept in touch. From that day on, we were together. We met on April 4th, got married on April 4th, and we both met Stan Lee on that rainy April 4th in 2006. We both wanted to leave the audition because we felt like we did not belong, but when they lined us up to meet Mr. Lee, we calmed down. Bottom Line: The passing of comics legend Stan Lee has left a gaping hole in the hearts of millions, but he will forever be remembered for his countless contributions to the world of entertainment and yes—to literature. There were many more contestants on “Who Wants to be a Superhero?,” but (unfortunately) some have become increasingly difficult to locate or contact. Nevertheless, our sincerest thanks to those contestants (shown above) who took the time to provide these salutes and homages. It is greatly appreciated. —Excelsior! Tagged Aja De Coudreaux, Chris Watters, Dan Williams, Darren Passarello, Jarrett Crippen, Mary Votava, Melody Mooney, Stan Lee, Tobias Trost, Tonatzin Mondragon, Tonya Kay, Who Wants to be a Superhero? One-Sixth Scale Shell-Shocker— New M3 Lee/Grant Medium Tank From Armortek Will Blow You Away! Batten down the hatches—for BATTLE. Armortek’s all-new, all-metal M3 Grant-Lee tank looks heavy enough to CRUSH all enemy forces, much less blow them away. (Photo: Armortek) Click to enlarge. 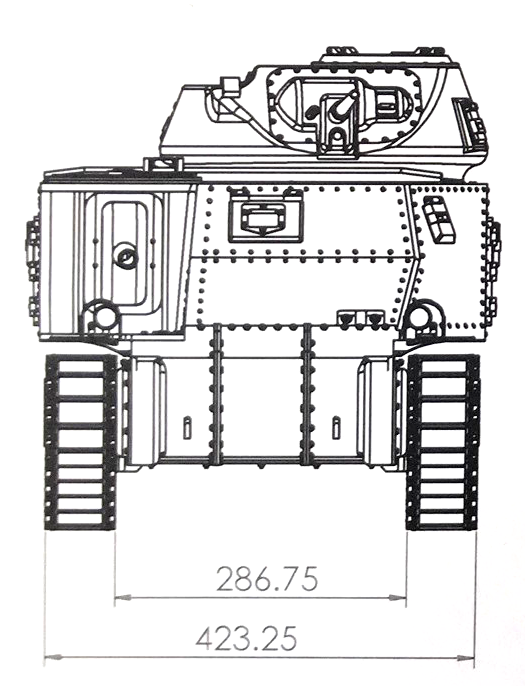 Side view dimensions of the Armortek M3 (Art by Armortek) Click to enlarge. 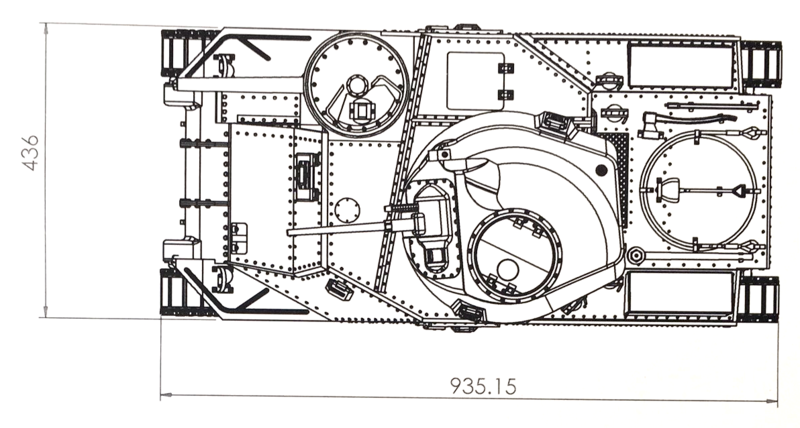 Top view dimensions of the Armortek M3 (Art by Armortek) Click to enlarge. 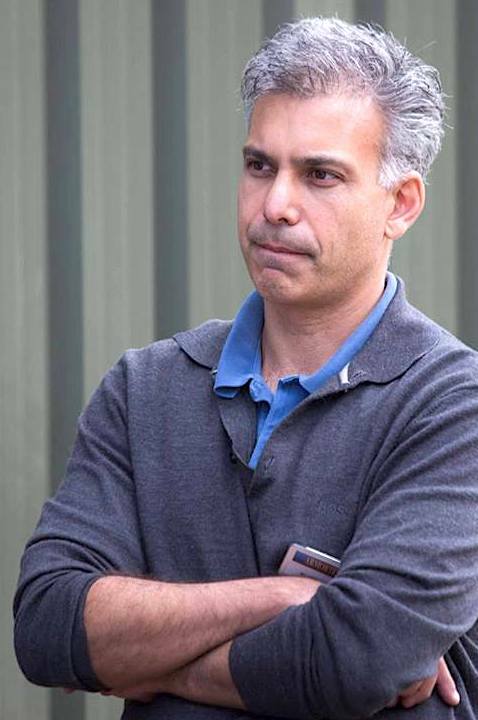 Kian Shroff at Armortek’s headquarters, UK (Photo: TMM Photography) Click to enlarge. Armortek (www.armortek.co.uk), the world’s leadingmanufacturer of 1:6 scale metal model kits announces the launch of their latest products – the iconic M3 Lee/Grant medium tanks. Used by the Americans, British, Australians, Indians and the Russians during World War II, the M3 medium tank was most effective in matching and even beating the German firepower in the North African campaign and was a vital “stop-gap” until the M4 Sherman tanks made their debut. 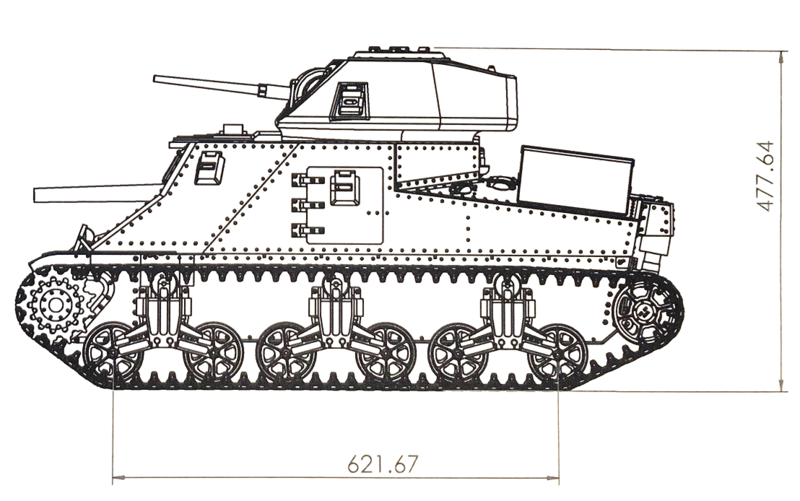 In keeping with previous Armortek releases, the Armortek M3 Lee and Grant medium tank kits are a result of detailed research and measurements of a full-scale vehicle. Made predominantly from CNC machined aluminium and steel, the kits feature scale thickness armour, prototypical suspension and can be remote control enabled. Containing over 2,000 parts (with more than 200 unique components), the M3 medium tank kit will take about 200 hours to build. 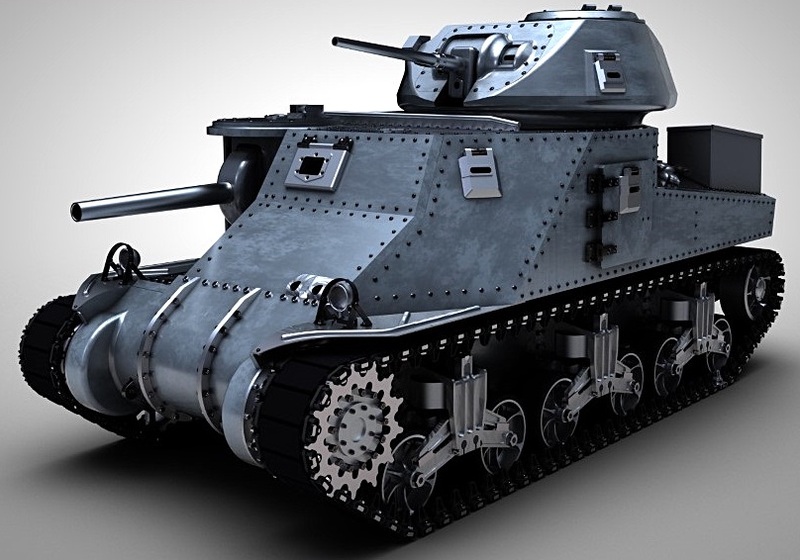 The M3 Lee/ Grant from Armortek measures 94cm (37”) long and 44cm (17”) wide and stands 48cm(19”) tall. They will weigh approximately 80kg (180 lbs) in their remote-controlled configuration. The kits are manufactured in a small batch as Limited Editions and each one comes with a serial number and certificate of authenticity. Option packs can be added to the kits to provide them with remote-controlled drive, turret turn, gun elevation and slew, realistic sounds and exhaust smoke. 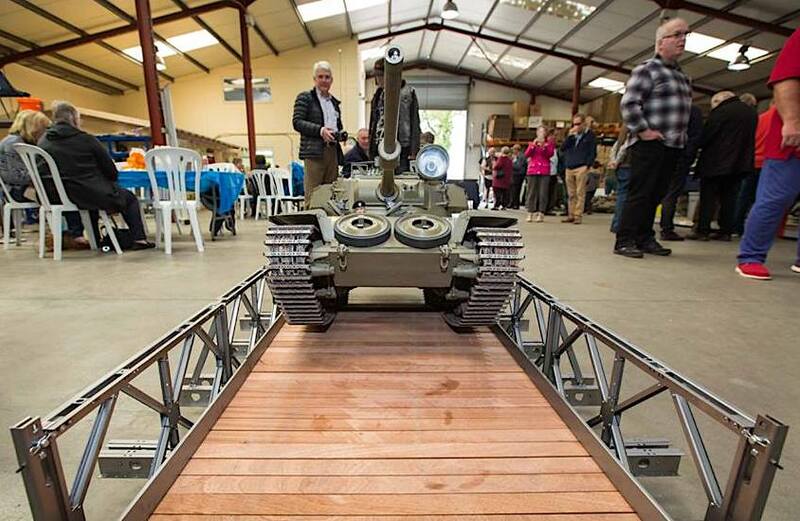 A Bridge Too FAR OUT, Man!— How about a REAL metal and wooden bridge for your tanks to cross over your backyard streams and rivers? Armortek makes them too! The products shown above were on display at Armortek Open Day 2017. WOW! (Photo: TMM Photography) Click to enlarge. Bottom Line: Our sincerest thanks to TMM Photography, Kian Shroff (and everyone else) at Armortek for their generous assistance in the creation of this article. Can YOU assemble one of Armortek’s amazing new M3 Lee/Grant tank kits? Isn’t it time you found out? Whichever Armortek product you build, it’s sure to became THE stellar attraction of your 1:6 collection. For more information, visit Armortek’s website HERE or their fan page over on Facebook HERE.